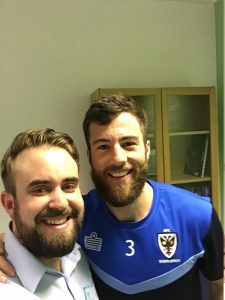 "I have worked with James at both Oxford United and AFC Wimbledon football clubs. From the first time he assessed and treated me I was very impressed by his knowledge and how he communicated everything across. James' treatment has no doubt helped me stay injury free and maximize my performance levels. I would not hesitate to recommend him to a friend or family member and I'm looking forward to working together in the future!" "Great quality work from James. Always manages to get me feeling looser, keeping me out on the pitch. The boys have been really impressed and appreciate the work he does too. 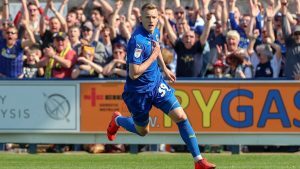 He has definitely become part of the team, long may it continue!" "James is the best Chiropractor I have come across. Without him releasing areas and giving my body maintenance I would not be ready for the next game." 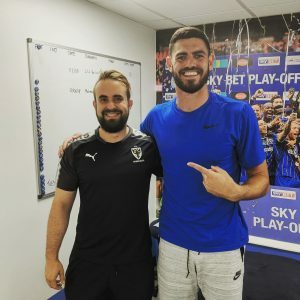 "I worked with James during the 17/18 season at AFC Wimbledon. He played a vital role in keeping my body fit, mobile and able to play 50 games. Anytime I had a small injury or felt tight James was able to ease the pain and speed up the recovery process. Not to mention he is a fantastic guy and a pleasure to work with! I would highly recommend him to any athlete looking to keep their body in great condition." 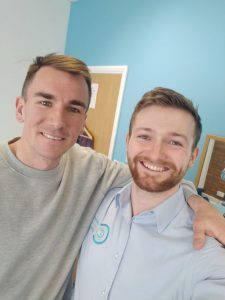 "James is by far the best Chiropractor I have worked with, his attention to detail is spot on. Without him I wouldn't be able to perform at the required level on a weekly basis." "I’ve been visiting Josh for about 4 months now every couple of weeks & feeling really good. 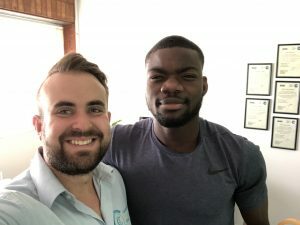 After years of various chiropractic treatment what has impressed me most about Josh is how specific his treatment is rather than the usual chiropractor neck & back adjustments." "As a professional athlete it is a vital part of my job to prevent injuries and perform at the highest level. 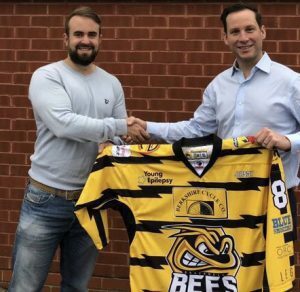 I have been seeing James for a while now and I would highly recommend him due to his attention to detail and understanding of elite sport." 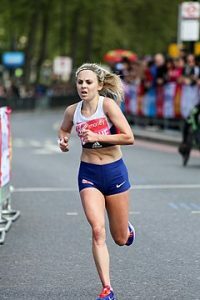 "If it wasn’t for the treatment I get I wouldn’t be able to compete at the level I do. They keep me in top form and work tirelessly to ease any aches and pains that I have. 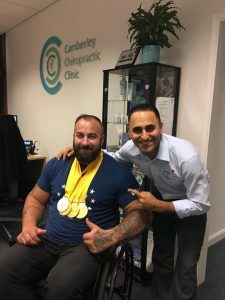 Prab is not only a fantastic chiropractor but also a friend and is invaluable to me in my sporting career." Owen Livesey "Been using this clinic for a few years now. James is great at what he does, sorts out all my problems every time and always has me fighting fit ready to go again! Would recommend this place to anyone!" 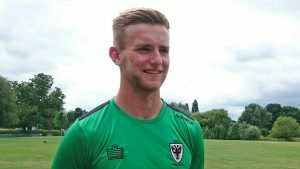 Danny Williams "I’ve been looked after by James for a good few years now, highly recommended!" 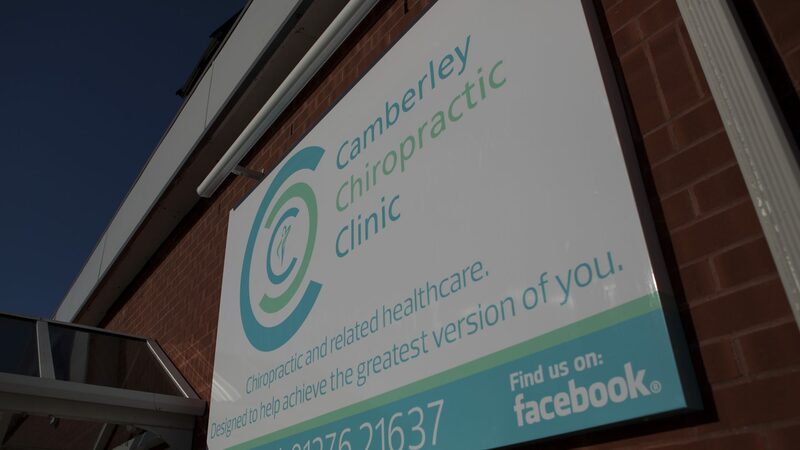 "I highly recommend James at Camberley Chiropractic Clinic for any sports related injuries."